The 50th anniversary ended. How are you still selling the items? Yes. The 50th anniversary of the Camaro has come and gone. However, that means that there are limited stock numbers available. The sooner you get what you need the better chance you will get that you want instead of missing out an item you want. There is no telling when the parts will run out or when they will stop being manufactured. Now is the time to get the 50th-anniversary piece you have always wanted. 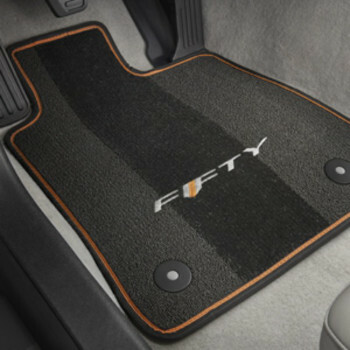 Are these mats carpet or the all weather mats? The mats are actually carpeted mats. 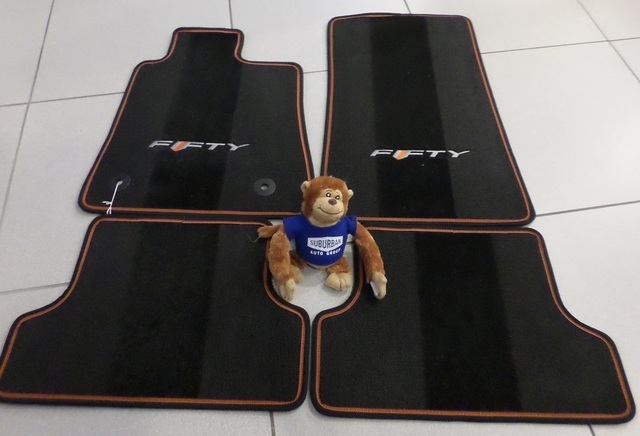 If you like the feeling of carpet under your feet then you definitely want these mats. They may require more cleaning than their all-weather counter parts, however, you will likely find that it is worth it for the look and feel they give your Camaro. How big is the shipping box you send these in and how much does it weight? The part(s), itself, is 29x23x4 and weighs around 7 lbs. We generally get the product down to a box that is 25x18x2 and weighs around 8 lbs.